Slovakian Symphonic Black Metal Band. 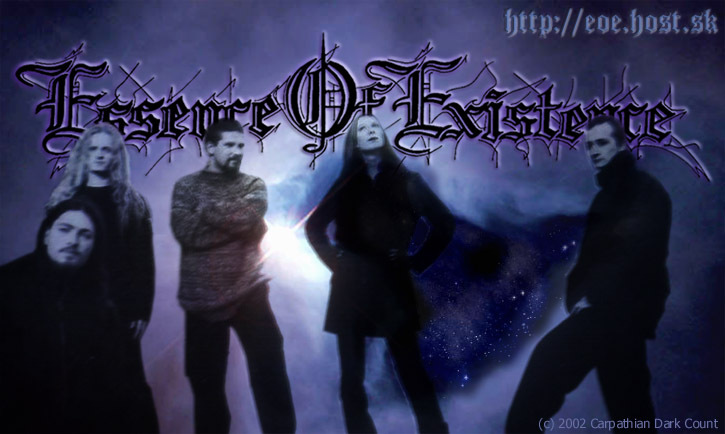 The core of Essence Of Existence was established by Astral (vocals, guitars) and n'ght (bass) in Autumn 1993. In 1995 drumer Goldo joined the band, Technology (bass) and Miki (guitars) came few months later . n'ght's sister Maaya became next member of the band. She enriched the band's peformance by keyboards. After few gigs in 1996 Goldo leaves and Mango took his place behind drums, but he leaves the band in very short time. Remaining members lost their patience and next drummer - Unbeing - is not a human anymore. Half year later Miki leaves for personal reasons (studies & work) and Cry is a new guitar player. Maaya leaves in summer 1998 but she brougt a substitute for herself - her friend Fear became new keyboard player and she adds female vocals to the Essence of Existence style. The first CD, recorded in A.S.I. studio (Czech rep.), 'Of Bloody Tears' (Astral - guitars, vocals; Technology - bass, vocals; Fear - keyboard, vocals; N'ght - bass, vocals and Cry - guitars) was recorded in 1999. 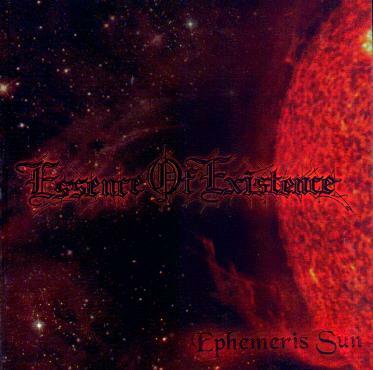 The Spring 2001 brings band to own Essence studio to record second CD 'Ephemeris Sun' (the vocals were recorded in A.S.I. studio again). After several negotiations band signed to SONIC TEMPLE RECORDS, CD 'Ephemeris Sun' was re-leased in January 2004.